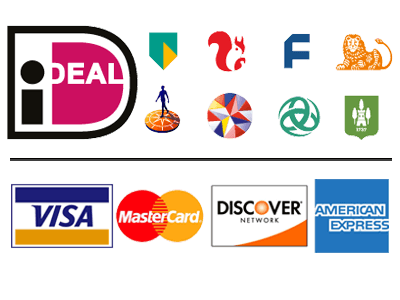 If you choose a direct payment gateway to complete your purchase, our payment provider stores your credit card data. It is encrypted through the Payment Card Industry Data Security Standard (PCI-DSS). Your purchase transaction data is stored only as long as is necessary to complete your purchase transaction. After that is complete, your purchase transaction information is deleted. Your visit to this website is recorded by means of cookies. Cookies are small packets of information stored by your browser on your computer. Cookies allow information to be collected on the use of our services, so that these may be improved and adapted to suit the needs and wishes of our visitors. All information collected by Banditio.com through cookies will be used solely to make this website more user-friendly. You may adjust the settings on your browser so that you will not receive any cookies during your use of our website. If you would like to: access, correct, amend or delete any personal information we have about you, register a complaint, or simply want more information contact our Privacy Compliance Officer at info@banditio.com.